Screen-printing is a process where a design, drawing or other format is converted to a film and the film is transferred to a screen. The number of screens for any design is based on the number of colors of the design. 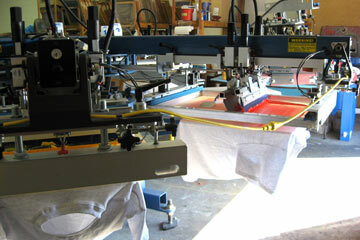 Links are then transferred through the screen to the garment in a proper order to achieve the desired result. The process involves exact pressures, specialized links and heat curing to result in a long lasting design.